Andy Palm, chairman of the BCA board, presents a plaque to Judy Williams, who co-founded BCA with her late husband, Charlie. The vision for a Christian School began in 1992 when Charlie Williams went on a prayer retreat seeking the Lord and listening for a direction of ministry in Belize. 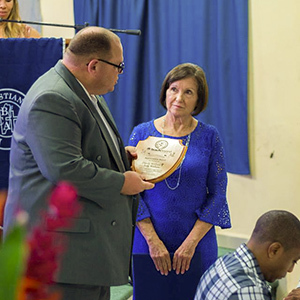 When he returned from this time of seeking the Lord, Charlie told his wife, Judy, that he believed God was telling them to start a private Christian school in Belmopan. The enormity of this task caused them to take a deep breath and acknowledge only God could do this. They soon invited spiritual leaders of the community to join them for a meeting in which the idea of starting a private Christian school was presented. 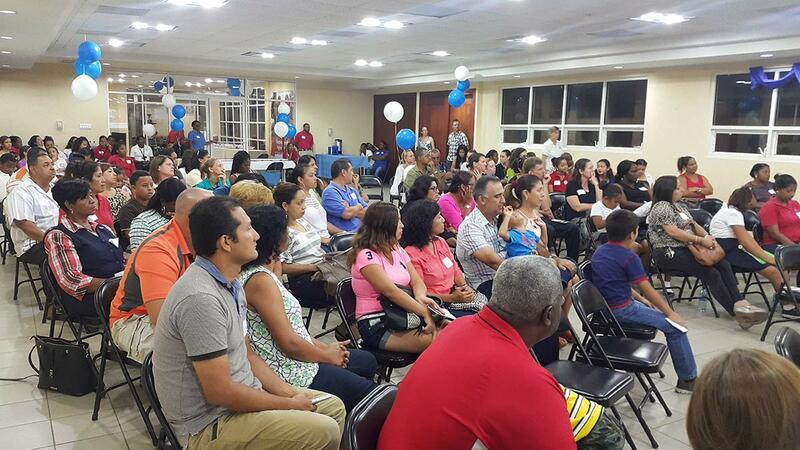 These people affirmed that starting a school in Belmopan would be a positive contribution to the community. Each decision about curriculum, uniforms, schedules, teachers, and more was bathed in prayer. There was a constant acknowledgement that God was creating this school. Time after time they saw God provide – often in ways that so clearly showed His hand. In 2015, with God-given foresight, the Williams began looking for a long-term organizational partner to ensure that the mission and vision of BCA could be maintained and improved well into the future. 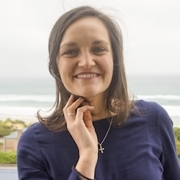 TeachBeyond assumed that role in 2016. In August 2016, during the first TeachBeyond-led board meetings in Belmopan, Charlie fell ill and quickly returned to the United States for medical care. Shortly afterwards, Charlie was diagnosed with leukemia and died suddenly in November of the same year. Judy has commented that, had the Lord not prompted them to move forward with a partnership when they did, BCA may not have survived. 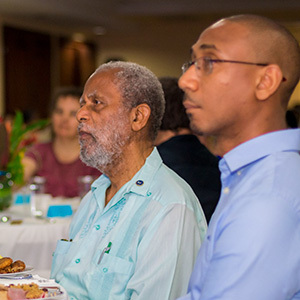 Attending the banquet were (left) Sir Colville Norbert Young, governor general of Belize (the representative of the monarch of Belize, Queen Elizabeth II), and (right) Khalid Belisle, mayor of Belmopan. Early in 2017, TeachBeyond Belize was formed and a new board of directors for Belize Christian Academy was seated. By that summer, Andy Palm and his wife Nannette arrived in Belmopan to serve as the national director for TeachBeyond Belize and the chair of the BCA board of directors. In 2018, TeachBeyond began the process to refurbish the campus with a comprehensive, campus-wide design plan that included a site visit from Engineers Ministries International, resulting in phased masterplan and conceptual designs. TeachBeyond has faith for the bright future of BCA, and envisions international accreditation and significant capital improvements for the school in the near future. 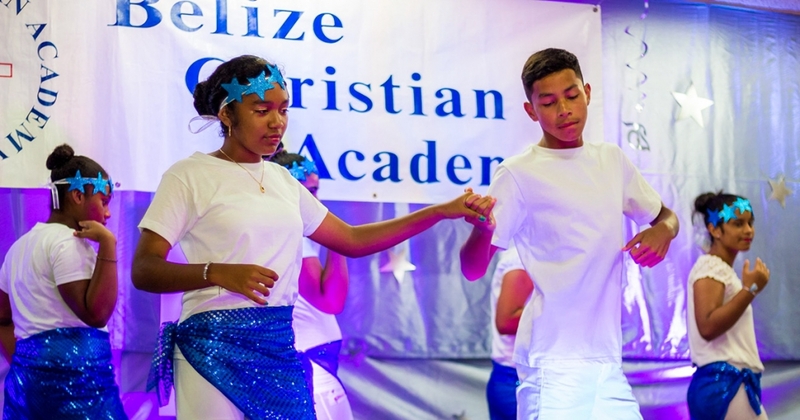 TeachBeyond’s Global Impact Fund was established to help provide financial support to projects like Belize Christian Academy. Your financial partnership will provide critical resources needed to serve in Great Commission work at BCA and around the world. Your gift to the Global Impact Fund by December 31, 2018, will be matched dollar for dollar by the TeachBeyond Global Leadership Team. Double your impact by partnering with us today to see more lives transformed by the Gospel through education. Five Opportunities to Serve as a Teacher Around the World Learning is Fun!